Description: At the plant for the production of trains. The camera is flying along a ready-made red shining locomotive. The doors are open and we see different equipment inside. 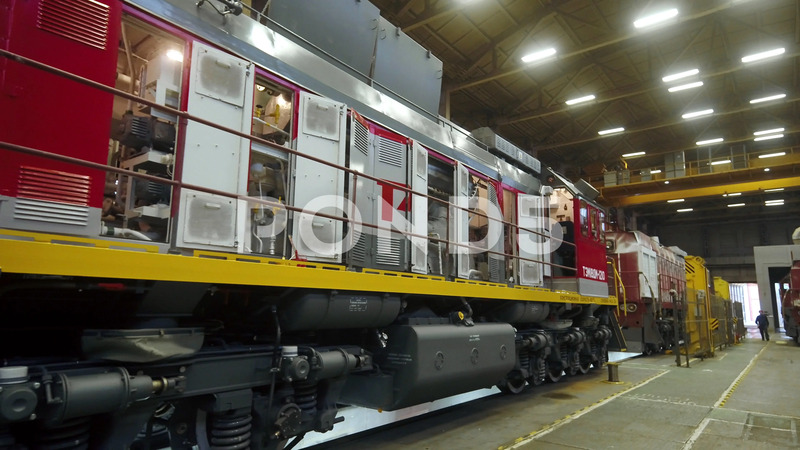 The locomotive is standing in a huge workshop.